We are an authentic centralized African cryptocurrency exchange with an African culture and background. The business is aimed and transforming the way money is treated throughout Africa. Although blockchain is decentralized by nature, we have decided to operate a centralized exchange, as that is the only way to covert Fiat currencies converted into cryptocurrencies. African Coin Exchange provides a trading platform/exchange to convert Fiat currencies into the most popular cryptocurrencies. The platform is designed and built in such a way as to allow both new entrants into the market and experienced traders to trade effectively and easily in a safe and reliable environment. Fast and scalable trading engine designed that provides real-time execution of orders. ACE exchange is a secure platform for funds deposits and withdrawals with 2FA Authentication. Fast and high – volume order execution, access to high liquidity orderbook. ACE provides secure trading by allowing users to activate Two Factor Authentication and Google Authenticator. With referral program users on exchange can refer the ACE platform to their friends and get paid in return with referral commission. Automatic funds borrowing with 1:2 and 1:3 leverages. African Coin Exchange designed a highly scalable trading engine to ensure fast execution of orders with multi-layered security for the highest level of protection. 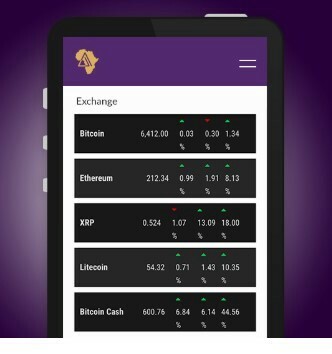 African Coin Exchange provides a trading platform/exchange to convert Fiat currencies into the most popular cryptocurrencies. The platform is designed and built in such a way as to allow both new entrants into the market and experienced traders to trade effectively and easily in a safe and reliable environment.